Round out an already beautiful lawn with the Mayne Rockport Single Mail Post. 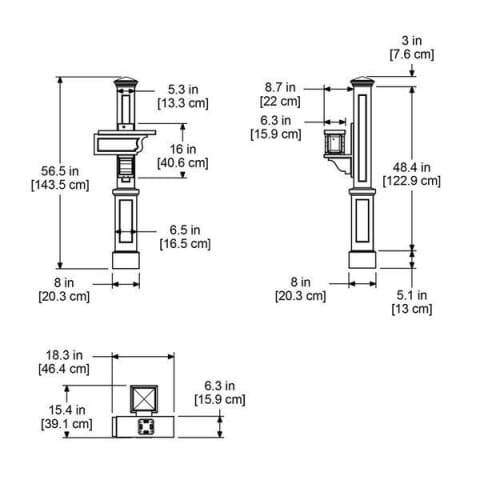 This classic side mount-style Mail Post fits over a standard 4×4 post to create a stunning mail solution. Mayne’s Mail Posts are crafted from 100% high-grade polyethylene for durability and longevity that will last throughout the seasons. Included is a large decorative post, side mailbox support, and built-in paper holder. Create a gorgeous look that will never go out of style with the Rockport Single Mail Post.